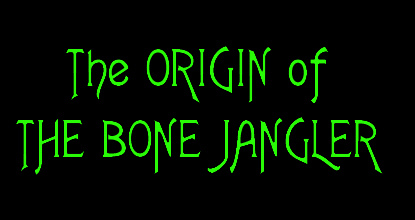 Since long before time itself had been recorded, there has been THE BONE JANGLER! Throughout the years, the world's most prolific thoughtsmiths have theorized that the "big bang" that spawned the Earth's creation also heralded the arrival of this ancient enigma. Content with sitting on the sidelines, watching various lifeforms evolve, THE BONE JANGLER took particular notice of the female of the human species. Many were the songs the women sang unto him, with fevered hopes that he would annoit them, and permit them entry into his Coven. And, as THE BONE JANGLER and his merry maidens moved across the lands, the seeds of thousands of civilizations were sown. From the building of the ancient sphinx in Egypt, to the mysterious rock formation of Stonehenge, even as recent as the crop circles of today...THE BONE JANGLER has been there. While the true extent of his powers will likely never be revealed, rest assured that he has few, if any, rivals. From witchcraft to voodoo, reaching all the way back to Native American shamanism, THE BONE JANGLER has had an impact on all forms of magick, past and present. In fact, many of the world's occult practices are based on the fundamental principles of THE BONE JANGLER's natural abilities. So, what is THE BONE JANGLER's current agenda? None know. He appears to be concerned with only 2 things: His Coven, and his horror show. 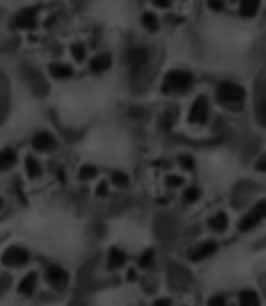 All images and likeness from THE BONE JANGLER may not be used without expresss written permission on paper. Permission may be revoked at any time.